Our most popular recipe from the last Weekend Potluck was this Strawberries and Cream Salad from A Reinvented Mom! Perfect timing for strawberry season! 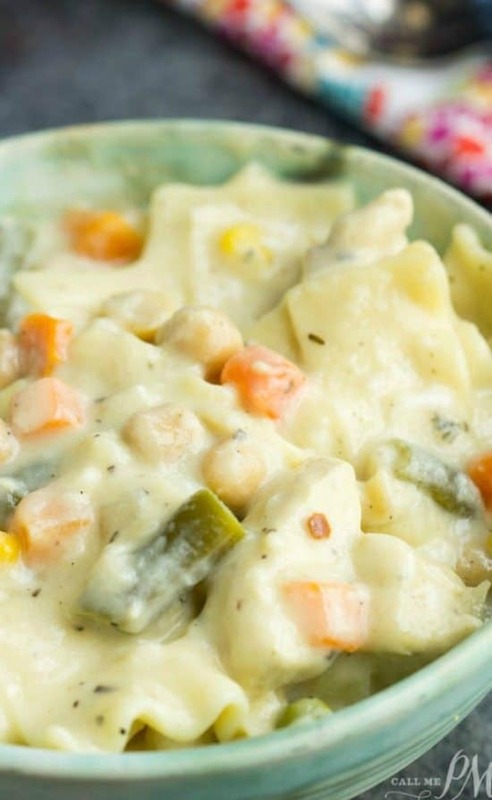 Our other featured recipes include: Italian Cream Cake from Family Around the Table, Chicken Pot Pie Lasagna Soup from Call Me PMc (that one looks really good and different, huh?!) 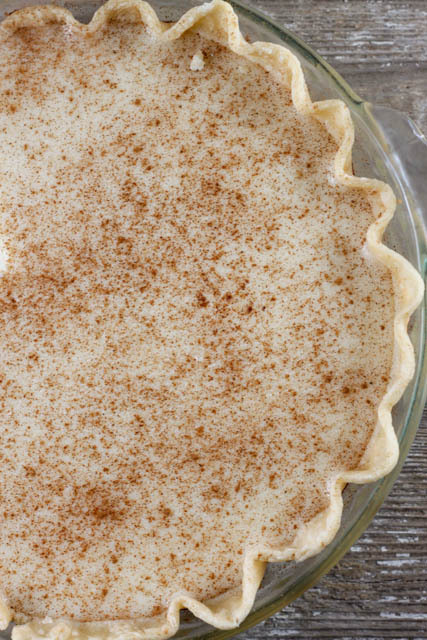 and Hoosier Sugar Cream Pie from A Farmwife Cooks. 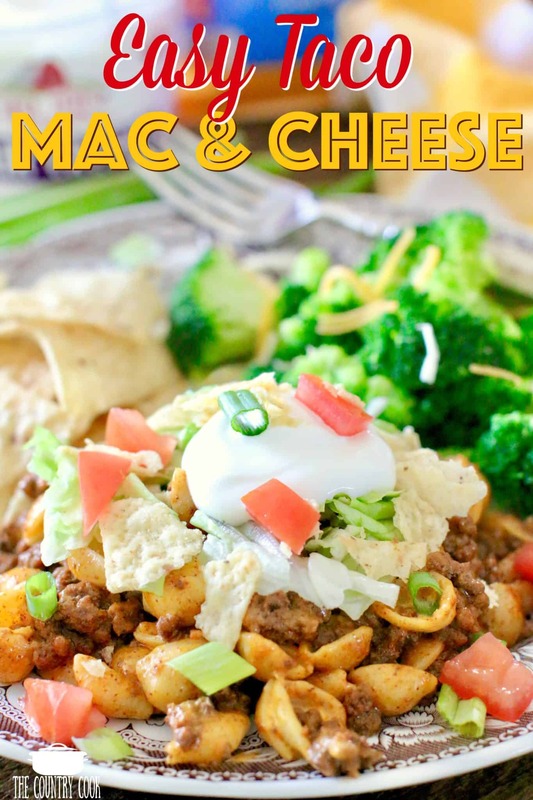 I am also sharing my Easy Taco Macaroni and Cheese recipe today! New here? Please read this! CLICK THE PINTEREST “SAVE” BUTTON BELOW TO SAVE THESE POTLUCK RECIPES! Thank you for featuring my Italian Cream Cake! What a nice end to the week! Yummy! So many wonderful features. Thanks for hosting. Thank you for hosting such a fun party each week. I think parties are the best social media strategy around!! I linked my Irish Soda Bread, St Paddy’s Collection and BBQ Beef Brisket Shepherds Pie for the Crock Pot. I hope you enjoy them. Have a happy week! Wish you having so much fun this week. I love this weekend recipe. I will try it as soon as possible. 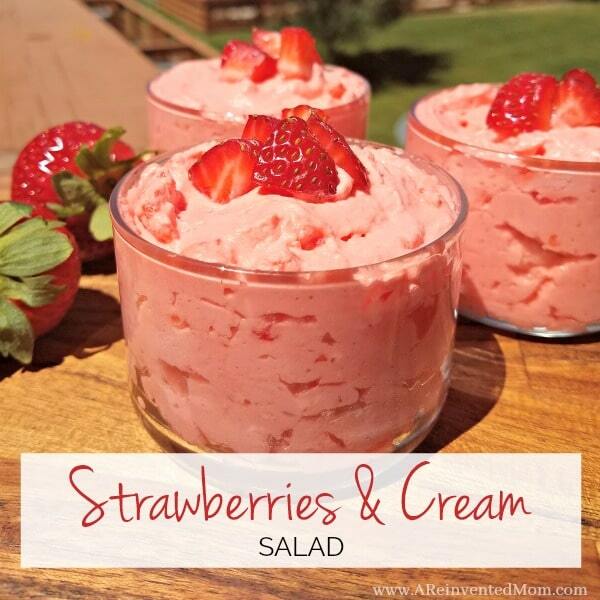 Thank you for featuring my Strawberries & Cream Salad this week! All the recipes look amazing this week.